HOME. . . There's just no place like it! 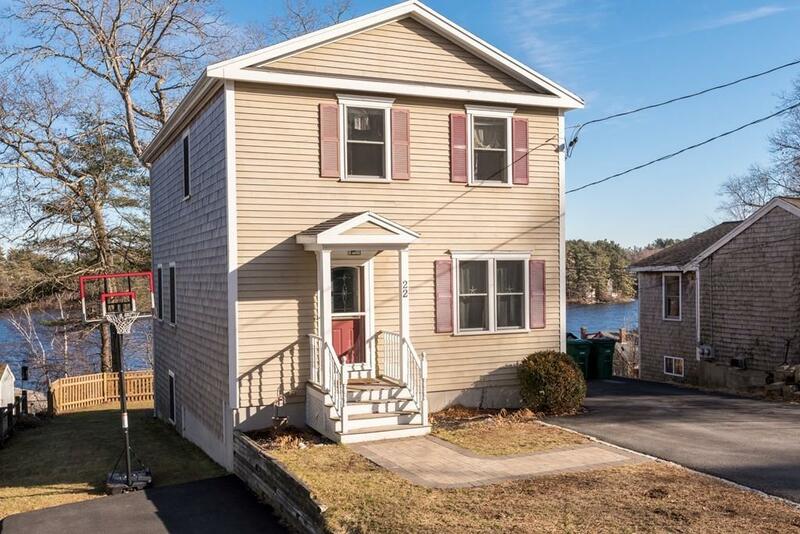 Set upon a private hilltop dead-end street, nestled between Great Sandy and Furnace Pond, this hidden gem is a great opportunity for those who enjoy spectacular water views and memorable sunsets. This home has been meticulously maintained and cared for by its current owner who has invested into making the layout even more practical by offering a full walk-out lower level giving this home three floors of living space that is wonderfully appointed and cosmetically pleasing. For those who enjoy the outdoors and summer fun, this home has deeded rights to Furnace Pond, is a short distance to enjoy walking trails surrounding town-owned conservation land on Windswept Bogs or enjoy the public beach on Oldham Pond with Town Landing Beach just minuets away. Commuter's Delight - Convenient to commuter rail to Boston with Hanson and Halifax train stations approximately 5 miles away. Welcome to Pembroke. Welcome Home!